Mermaid Tail Blanket Just $23.99! Down From $60! You are here: Home / Great Deals / Amazon Deals / Mermaid Tail Blanket Just $23.99! Down From $60! Get this Mermaid Tail Blanket which is now offered at Amazon for just $23.99 down from $59.99 PLUS FREE shipping with Amazon Prime or for orders $25 and above! Have you ever dreamed of being a mermaid like Ariel when you were a kid? Seriously, who wouldn’t want to be able to be adorable and comfortable at the same time. 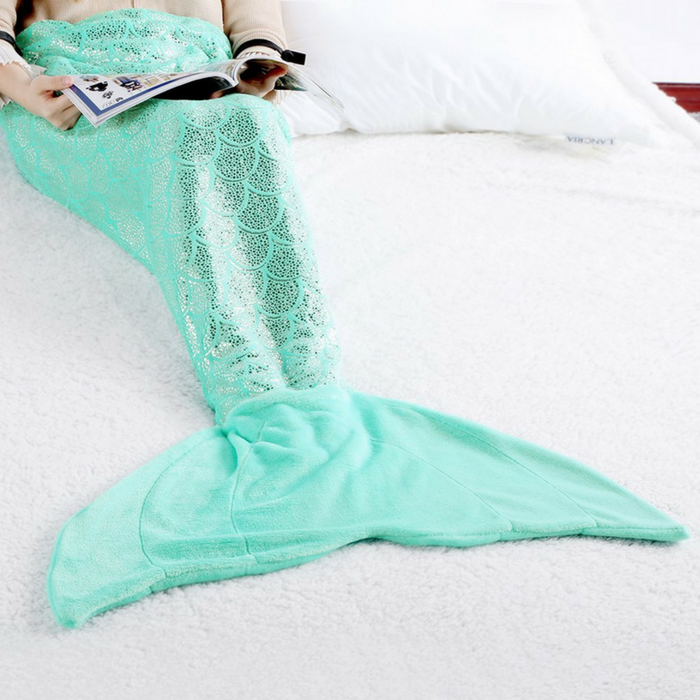 Imagine yourself in this mermaid tail blanket, you’ll feel cozy and warm, and you’ll look a goddess from the sea! Glossy foil dots arranged in fish scale patterns so as to make your lower torso look more like a mermaid tail. And it makes you so shining as if you came from the fairy tale world! Nice gift! DURABLE & MULTIFUNCTIONAL: the fabric is durable and lightweight, foil dots printed on, which are not easy to fall off; it’s a great choice for storytime, fireside reading, movie nights in sofa, sleepovers, camping, car travel, family trips,etc.